The Pakistani COAS was not only completely out of line in calling a foreign head of state, but in doing so he also trampled upon the civil-military relations in Pakistan. The call could have been initiated by the civilian government of the Prime Minister Nawaz Sharif, especially since the premier was scheduled to meet the Afghan president within hours in Davos, Switzerland. General Raheel Sharif clearly sought to assert his pre-eminence at home and abroad by painting both Prime Minister Sharif and Ashraf Ghani as weak leaders and divert attention from Pakistan army’s disastrous jihadist policies and monumental failures to contain the monsters it has created. The Pakistani military leadership has claimed periodically that the TTP rump is now holed up in Afghanistan’s eastern and north-eastern regions and has been calling for an Afghan campaign against them. The idea seems to be to create a false equivalence between Pakistan’s well-thought-out, decades-old strategy of harbouring Afghan jihadists and the ostensible presence of the TTP elements, who escaped Pakistani military operations, in the unruly Afghan frontier regions where Kabul’s writ is skimpy at best. It is a well-known fact that the current TTP leader Mullah Fazlullah had escaped the Pakistani operations in Swat. On the run since, he has reportedly been in and out of the areas straddling the Durand Line. Scores of other jihadists similarly escaped the Pakistani army’s Zarb-e-Azb operation in the North Waziristan tribal agency. In fact, not a single terrorist ringleader has been known to have been captured in the Zarb-e-Azb operation. Meanwhile, the identity of the more than 3,500 jihadist cadres, whom the Pakistan army claims to have killed, has not been made public. Analysts had been warning that the fanfare in the run-up to the Zarb-e-Azb operation had given jihadists ample warning to flee and melt away into the population. That several jihadists potentially crossed over into Afghanistan was no surprise either. The Pakistani military still sticks to its dangerous definition of the “good” jihadists who fight against the Afghan government and India and the “bad” jihadists who attack Pakistan. The problem is that the good, the bad and the ugly jihadists consort together and share cadres, sanctuaries, recruiting grounds and training facilities. Chances are that if the TTP elements are in Afghanistan, they are not exactly receiving diplomatic protocol from the Kabul government but hanging out with their Afghan Taliban counterparts. It is time Pakistan realises that it is not one bad fish but a rotten jihadist ecosystem, almost exclusively of its own making, that has inflicted such incredible misery on the whole region. Listening to the about 11-minute video released by the TTP thug Umar Mansoor claiming the Bacha Khan University attack, it becomes abundantly clear that jihadist terror is Pakistan’s homegrown problem and a self-inflicted wound. Mansoor speaks Pashto in a dialect typical of Pakistani urban. His diction and idiom are completely free of any Afghan or tribal area language influences. He seems to be a man who has not spent enough time outside Pakistan for his language to absorb any Afghan influence. His frame of reference is quintessentially Pakistani too. I know this how? Well, because his Pashto is no different than mine, and, like me, he grew up in the Pashtun heartland in Pakistan. According to media reports, Umar Mansoor went to school in Islamabad and then worked with his family in the port city of Karachi. The question is why did he take up arms against the Pakistani state and the army, especially if the latter too has a jihadist bend. The answer simply is that once indoctrinated to conduct jihad, individuals like Umar Mansoor remain ideologically hard-wired for good. The niceties of Pakistani army’s duplicitous policies, where it pretends to facilitate peace process between the Afghan Taliban and the Kabul government while continuing to host the new Taliban emir Mullah Akhtar Mansoor in the Quetta suburb of Kuchlak, are lost on the rank and file jihadists. They see even a tactical retreat as the betrayal of their common jihadist cause. What seems lost on the Pakistani army planners is that the jihadist cadres neither have an on-off switch nor do they conduct jihad only in the bankers’ hours and take the weekends off. For the top echelons of the Pakistani army, jihadism may be just another tool of prosecuting foreign policy but for individuals like Umar Mansoor it becomes both a vocation and a way of life. Decommissioning jihadists is trickier than enlisting and unleashing them. And it is not just because of their current motivation to fight but also because of the ideological milieu that Pakistan has created over the decades to support its jihadist venture. For 68 years of its existence, Pakistan has either officially denigrated towering political figures and champions of non-violent and secular political struggles like Bacha Khan or banished them from the educational and public discourse. In 17 years of my education – 12 of them at a civilian school run by the Pakistan Air Force – in Pakistan I was not taught one single line about Bacha Khan and his monumental political struggle against the British and then the military dictators of Pakistan. On the other hand, the Muslim warrior-kings like Mahmud Ghaznavi and Aurangzeb Alamgir filled the pages of our history books. 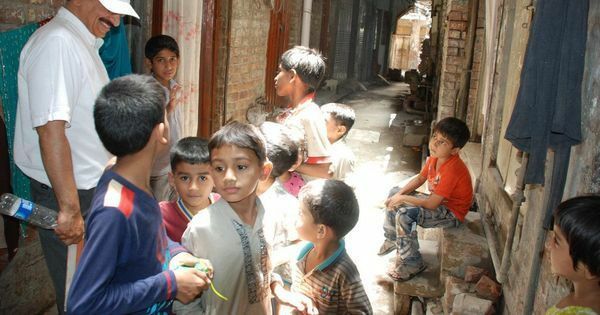 The boys in my school were divided in four houses named after the Muslim warriors Khalid bin Waleed, Tariq bin Ziyad, Muhammad bin Qasim and Salahuddin Ayyubi, while the girls were in the Muhammad Ali Jinnah and Allama Muhammad Iqbal houses. An anti-India or more specifically anti-Hindu curriculum was taught in the name of Pakistan Studies. I shudder to think about the curriculum of the madrassas that Umer Mansoor and his ilk might have gone through. The attack on the Bacha Khan University goes to show that there are legions of indoctrinated Pakistanis who are willing to kill and be killed in the name of religion and jihadism, supported logistically by a larger network of fellow travellers and even bigger hordes who condone their brutal, relentless and violent jihadism. The attackers were all Pakistanis as were their accomplices. Unless the Pakistani army planners see the disastrous errors of their ways and decide to roll back both the theory and practice of their jihadist enterprise there will likely be more attacks like the one on the Bacha Khan University. The first step would be to realise “if you break it, you own it”; blaming Afghanistan for the Pakistan army’s sins and dereliction may be a good excuse but makes for horrible solution to Pakistan’s terrorism conundrum. The way Pakistan has dragged its feet on apprehending the banned terrorist outfit Jaish-e-Muhmmad leader Masood Azhar who is blamed for the recent attack on the Indian airbase at Pathankot, it seemed that despite the lip service to the contrary the Pakistani brass has little or no desire to dismantle its jihadists proxies. And now the way Pakistan is shifting blame for its jihadist blunder to Afghanistan just reinforces the concern that it is still in no mood to correct its deadly course.